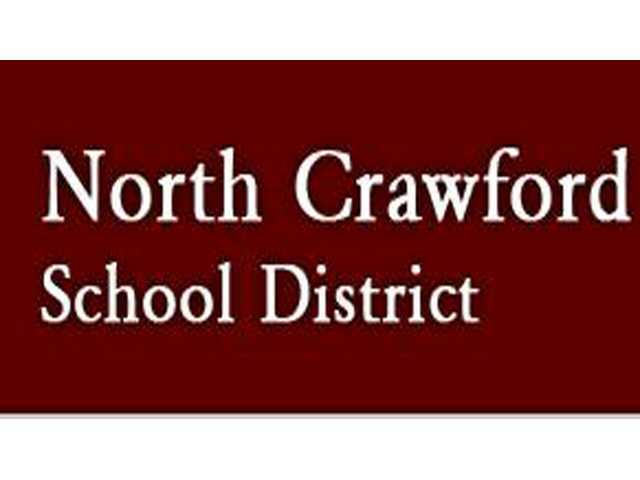 POSTED October 5, 2018 10:15 a.m.
NORTH CRAWFORD - After all their busy days of preparation, the North Crawford School Board seemed happy to have their school year successfully launched after a three-day delay caused by historic flooding in the area. A revision in the staff ‘paid time off’ policy, increased enrollment, and school safety were among the items taken up by the board at their Wednesday, Sept. 19 meeting. Board member Judy Powell questioned Munson about where the district was at with its calendar and meeting the instructional hours requirement set by DPI. Munson told the board that in the three days while the start of the school year was delayed due to flooding, all of the staff except one had made it in to work except for one day. Munson said that after the decision at the previous meeting to approve the new Paid Time Off (PTO) policy without waiting to solicit additional staff input, he had decided to delay implementation. The two revisions are to add in two additional PTO days, increasing from 10 to 12, and to lift the restriction on staff using their banked sick time when they have used up their PTO hours in a year. The board adopted the policy as amended. In his administrator’s report, Munson reminded the board that the district is coming up on the all-important Third Friday Count. This count, taken on the third Friday of the school year, is used to calculate state aid dollar amounts for the upcoming school year (2019-2020). “Right now, it is looking like we could be up by as many as 15 middle school/high school, and 15 elementary enrollments,” Munson said. Littel has also recruited a part time staff member to round out her department’s functions with providing psychology services. Starting next week the Special Education Department will have the services of school psychologist Cathryn Poshepny, the retired school psychologist from Viroqua, to complete some of the data management tasks and work with the program’s more challenging students. Munson updated the board on installation of new school safety measures. He explained they have added several new and upgraded cameras, and have upgraded several of the interior door locks. Munson also reported he had submitted a grant application for round two of the DOJ School Safety Grant. The new grant application was for approximately $25,000, and focuses more on staff training, resources, and materials.